Do rewards motivate people? Absolutely: They motivate people to get rewards! 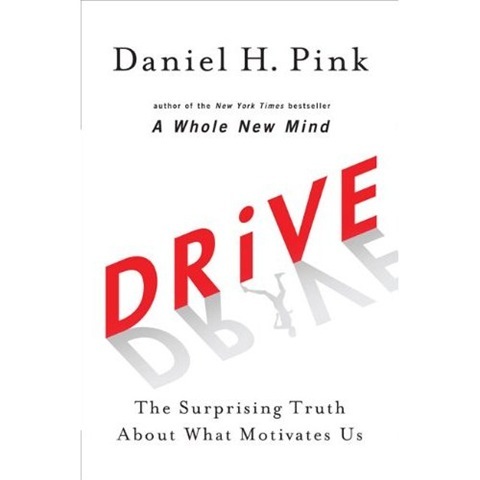 So states Daniel Pink in his engaging book Drive: The Surprising Truth About What Motivates Us . According to his research, extrinsic rewards, particularly “if-then” or “contingent” rewards (“if you do this, then you’ll get that”) snuff out all self motivation and creativity, regardless of task or age. Have you ever promised one of your students a prize or award for playing a passage correctly, performing at a concert or entering a competition? Have any of your students’ parents discussed how brilliantly they managed to bribe little Billy to do his practice? Perhaps you’ve done it with your own children. If so, think again. Drive is full of detailed research into the psychology of motivation as it relates to individuals as well as organisations. The following are a few key points about motivation that I found particularly relevant to my piano teaching. 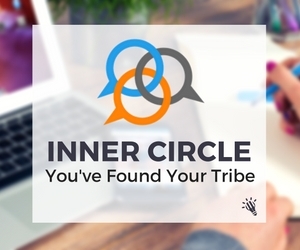 …the researchers divided the children into three groups. The first was the “expected-award” group. They showed each child a “Good Player” certificate – adorned with a blue ribbon and featuring the child’s name – and asked if the child wanted to draw in order to receive the award. The second group was the “unexpected-award” group. Researchers asked these children simply if they wanted to draw. If they decided to, when the session ended, the researchers handed each child one of the “Good Player” certificates. The third group was the “no-award” group. Researchers asked these children if they wanted to draw, but neither promised nor gave them a certificate at the end. Children in the “unexpected-award” and “no-award” groups drew just as much, and with the same relish, as they had before the experiment. But children in the first group – the ones who’d expected and then received an award – showed much less interest and spent much less time drawing. The alluring prizes had turned play into work. In another study, this time regarding the motivation of blood donors, two Swedish economists found that offering a small payment in exchange for giving blood (about $8), actually decreased the number of people willing to donate by half. Why? The researchers suggested, “[the payment] tainted an altruistic act and ‘crowded out’ the intrinsic desire to do something good”. Interestingly in the same study, researchers also tried another tactic: giving people paid time off work in order to donate blood. This kind of reward did help as it removed a barrier to being altruistic but didn’t reduce the motivation. And it’s the same with weight loss and bad habits. People who choose to slim down for a wedding or quit smoking for their partner often reach their goals, but then put the weight back on or take up the habit again when the original reason passes. The external motivation only lasts so long. So what should we learn from all this? Well, it’s important to note that not all rewards are bad. As shown above, when children don’t expect a reward, and one is given, this doesn’t have the same negative effect. So keep in mind that any extrinsic reward should be unexpected and offered only after the task is complete. One way is to think of “now that” rewards: ie. a parent might say, “Now that you’ve completed your Grade 1 exam, let’s go out to dinner as a family”, or a teacher might say, “You did so well with your practice last week that you can have a week off your scales!”. Consider what externally imposed barriers your students may have to practice and encourage parents to remove them. Perhaps this is permitting them time after dinner to practice rather than clearing the table, setting a clear schedule so that family interruptions can’t interfere with practice, quitting soccer/karate/ballet/tennis lessons to free-up more time (well it’s a nice dream! ), etc. By linking money to the completion of chores, parents turn an allowance into an “if-then” reward. This sends kids a clear (and clearly wrongheaded) message: In the absence of a payment, no self-respecting child would willingly set the table, empty the garbage, or make her own bed. It converts a moral and familial obligation into just another commercial transaction – and teaches that the only reason to do a less-than-desirable task for your family is in exchange for payment. I still award stickers to many of my younger students if I’m proud of the work they have done on a piece (and this is fine as long as it’s not expected or assumed). Just avoid telling a student that they can have a really big special shiny sticker if they play the piece again and add all the dynamics you’ve discussed. Don’t worry, I’m guilty of it just as much as everyone else! Oh, and I think it’s best not to give students money for doing something challenging, not that I hear anyone does that anymore. For more info, here’s a great summary of the whole book in 6 pages, albeit written from a business management perspective.